Bird Walk is a beautiful created by Lisa Norton and Lora Zmak of Material Girls and wonderful batiks from Marcus Brothers. 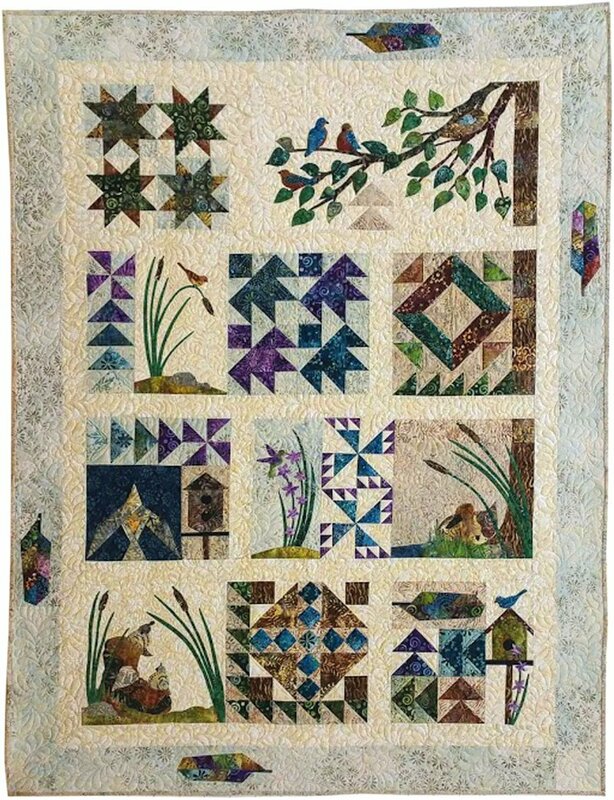 This quilt is a wonderful combination of bird scenes with a variety of quilt blocks like pinwheels, Ohio Star, flying geese to name a few. You will receive all the fabrics for the top and binding plus the patterns. This is an all at once program or 12 month Block of the Month. Fees are $ 19.75 a month for 12 months plus shipping OR $ 236.75 and you will receive your full kit and NO shipping charges. This program will start shipping in September of 2016. Call 260-273-2611 or 260-565-4438 and reserve yours today.